Quick View... Click Here to See More Cars for Sale. 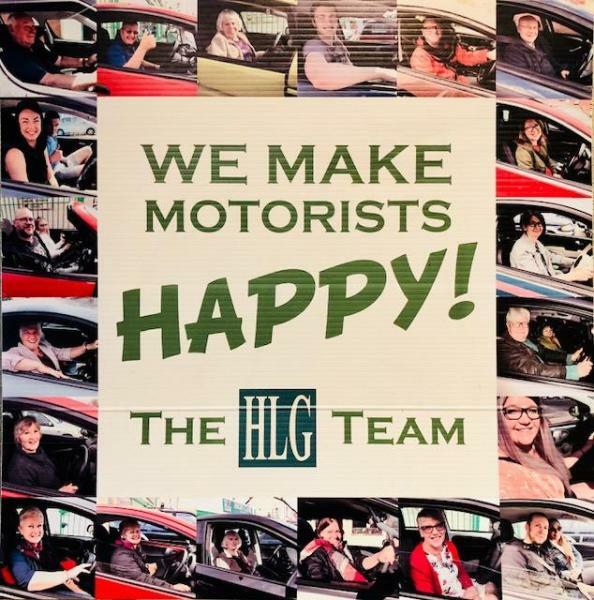 The HLG Team: We buy well cared for, low mileage cars and estates with service history. Click on ‘Happy Bunnies’ - when all the effort is so worthwhile! 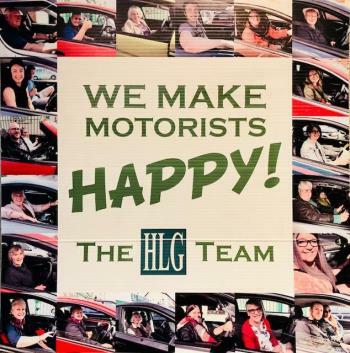 Welcome to the HLG website, the platform to the world for our friendly little motoring emporium, trading on this site for more than nine decades. The garage with a history of looking after its customers. 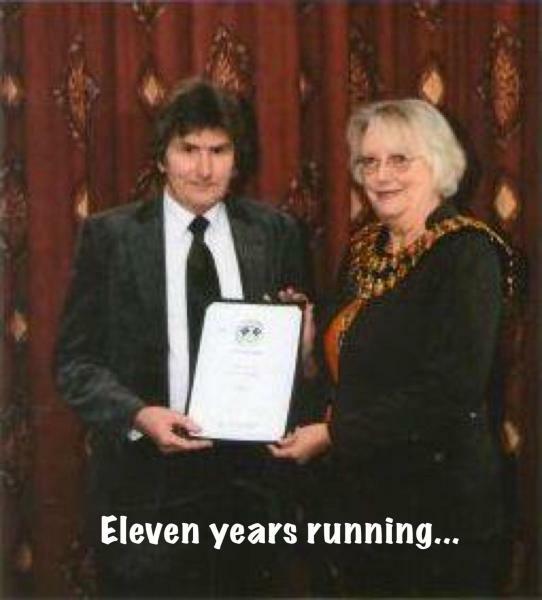 Until the Trading Standards Fair Play Charter Scheme succumbed to recessionary cutbacks in 2012, we were proud to receive the FPC certificate each year from 1999 to 2011. Pictured is lady mayoress Hazel Lees presenting the coveted certificate to Peter in the scheme's final year. Thanks very much, Stockport Metropolitan Borough Council - the sandwiches were pretty good, too! 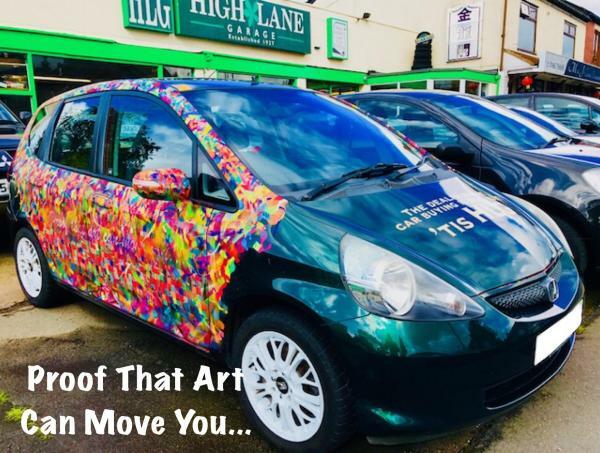 We are a small business with two full time and four part time team members, yet countless thousands of happy customers have passed through here and it is a delight to be a part of their motoring journeys. In particular, we are tickled pink that so many motorists have returned time and again, in the meantime 'spreading the word' to their friends, colleagues and families. We really can't think of a better way to do business than organically - can you? We have had a couple of changes to the team. Many of you know that Adam was studying to become a radiographer during the last four of his eight years with us and Matthew has now moved on to persue a mechanical engineering degree course at Chester University. We wish them well and feel privileged to have been part of their career journeys. Carol has retired and we welcome William, who will, among other duties, take on our MoT reminder database, which has been very popular with our customers for many years. 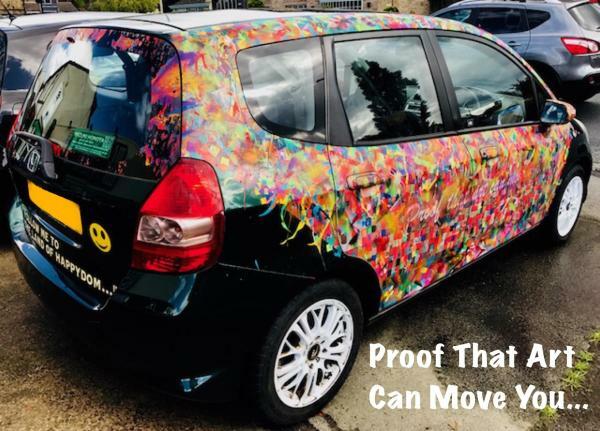 2019 got off to a good start and we handled 13 retail cars, two down on last January, but creditable considering the amount of 'B' word scaremongering going on just now. Our motto: Get On With It - the world isn't going to fall apart! The top photo shows Sue, our sales office administrator. Sue is an avid runner and will compete in this year's London Marathon flying the flag for HLG and raising money for Revive a Life, the charity we have supported since April 2015, based in New Mills and which runs a children's house in Kampawe, Uganda. Beryl, the treasurer, a High Lane resident and regular customer here, has paid the home fourteen visits to ensure the wellbeing and spiritual needs of the sixteen children and to oversee repairs and improvements to the building. Sue has undertaken a gruelling training programme in her determination to raise funds for the charity and any support you can give will be very much appreciated. There is a Virgin Money Giving page if you wish to donate online ( Go to Virgin Money Giving, click 'Make A Donation' and search for Revive A Life) or you can call in or make a payment by 'phone here at the garage - call 01663 763355. More than £1,000 has already been forthcoming and Sue's target at £100 per mile completed, will result in a welcome boost to the charity's funds to the tune of £2,600. 'Every little helps,' as the saying goes and the bonus is that unlike many charities, 100% of the donations made to Revive a Life are used to benefit their work. No wages to pay = no admin deductions. The money goes a long way in Africa and the funds we have generated since 2013 have paid for a small extension, new toilets for the girls, a new bathroom, improvements to the water supply and shelving. 2008 57 Mercedes SLK 280 3.0 V6 automatic sports (electric folding roof) in black with black leather, 40,200 miles...... .............£Deposit just taken. 1997 R reg. BMW 316 automatic four door in light metallic blue. A classic in the making, but with modern brakes and power steering. Same lady driver from new, first as her company car, then her retirement transport for many years. 2004 04 Mercedes SLK 350 in stunning, timewarp condition! Discovered covered over in a dry garage in Scotland and on its way to us. More cars in the pipeline - watch this space!! Part exchange is welcome. Sales hotline is 01663 763355. Cars can be reserved on a £250 deposit. Low mileage cars with service history wanted, please. You may already be aware of changes in the law regarding personal details retention - GDPR as it is known, an extension of data protection regulation. We assure you that no personal information is given or sold to any third parties and your records are for our own use only. When we notify you of your due date for your MoT test, this is in the form of a helpful letter. If we need to forward details of safety recalls this is for your direct benefit; your safety is paramount to us. At no time do we pass your details to marketing companies and we respect your privacy in the same way as we expect other companies to respect ours as consumers. If you are looking for a particular model of car, let us know on 01663 763355 and we'll add it to our 'wanted' list. We need your stamps and bric a brac. 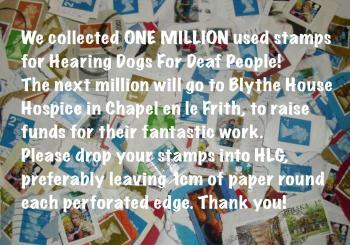 The HLG team is collecting used postage stamps in aid of Blythe House Hospice . Please save yours and drop them in or post them to us. 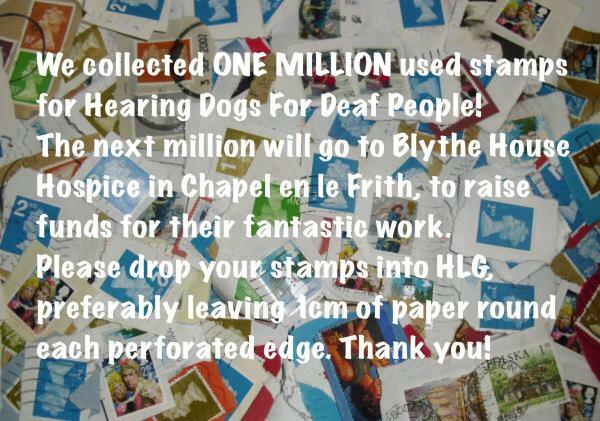 We collected in excess of ONE MILLION stamps for Hearing Dogs for Deaf People - now it is the Hospice's turn and we hope to raise the next million in the not too distant future, so thank you and please keep 'em coming. N.B. Please leave a little paper around each edge of the stamps, (Ideally about 1cm). If posting, please make sure you have enough stamps on the package, as we have had several examples of non - delivery, which is a bit ironic when you think about it. Thanks! We are also a drop off point for your unwanted bric a brac, books, clothes, toys, anything you have finished with, which Beryl will sell on her regular market stall and table top sales in aid of Revive a Life. A local dealer with a solid reputation - We see our garage, which was established on this site on 15th of June 1927, as perpetuating "the corner shop" approach to the motor business. If our incidence of repeat custom is anything to go by, it works. People come from all over, time and again and tell their friends, family and colleagues.One local family has had EIGHTEEN car transactions with us during our twenty six years here, whilst another family took delivery of their sixteenth vehicle earlier this year. A lady round the corner has recently made her TWELFTH purchase, while fours, fives and sixes are regular occurences. Proof positive that we care - in fact we get the strong feeling that many people are going back to grass roots, spending their money with the little guys like us where they know they will be treated with respect and given that extra time and consideration. Our wages only happen as a direct result of continued business. We bought our 391st Honda Jazz a few days ago - more Jazz models wanted, please. A couple of interesting facts: the average turnaround time for used car retailing in the UK is 45.2 days; that is the period from taking a vehicle into stock, preparing it for sale, advertising it and the new owner taking delivery. The HLG average is a mere 19.8 days - less than half the norm. This has to do with picking the right stock, relationships with workshop personel and suppliers and a reputation for being a safe bet for customers to spend their money wisely. Also interesting is that we do not, unlike the vast majority of dealers, pay any money to companies who direct traffic to our website - no search engines, no SEO payments, no pay per click or any of the enhancements which seem to underpin so many dealerships nowadays. This website is run organically and we're proud of that. 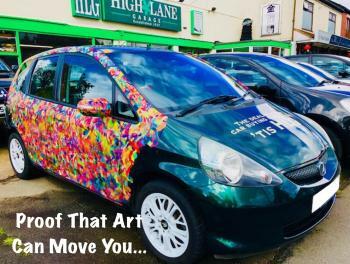 Existing customers and referalls from them account for the majority of our sales and other dealers are flabbergasted, considering that their monthly spend can be anywhere between £1,200 and £3,000 on one household name search engine alone!! We'd rather spend that money on making sure our cars are properley prepared and conforming to the HLG ethos - matching tyres (same manufacturer) on all four corners, a minimum of 4mm tread across the full width (well in excess of the MoT requirement) and every car supplied with two keys. Colleagues in the trade tell us we're bonkers doing these (and other things) which set us apart, but we have proved time and again that happy customers are loyal and tell others, so we'll continue to do things our way. Twenty six years in the present ownership and our customer base continues to grow. 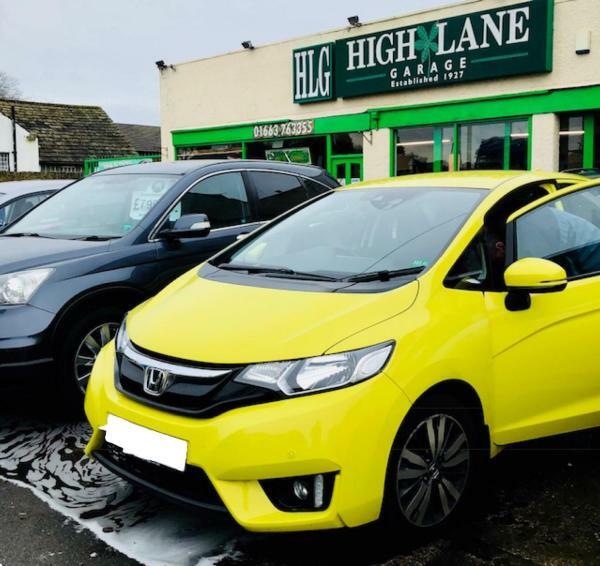 (Our recently retired accountant calls it 'The HLG Car Club,' which is really rather nice!). 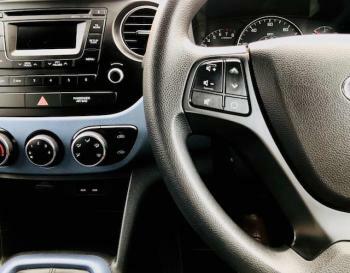 Have a browse round our cars and remember that apart from buying and selling vehicles, you can sample our other services. Body repairs, paintwork, paintless dent removal, puncture repairs, tyres, servicing, parking sensor fiment, etc. Whatever your motoring needs, talk to us and we'll do our best to help you. Without pressure. With a smile! We are now regularly posting snippets and latest stock on Facebook. 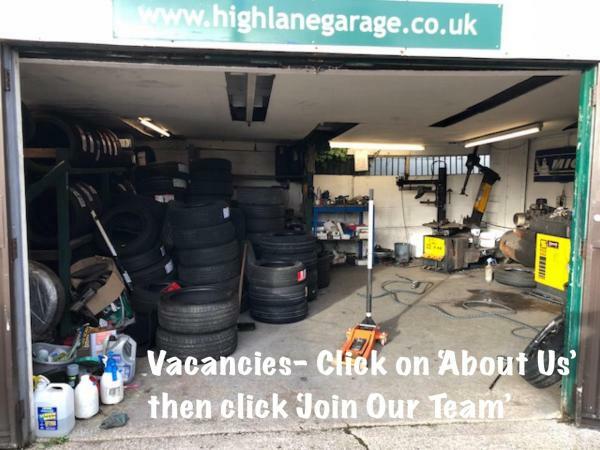 Have a look at us at Facebook High Lane Garage and tell us what you think. Thank you! Vauxhall Zafira 1.6 Exclusiv 7 seater.